At the Fontainebleau Marina, visitors can dock for the day or overnight during their excursion to Miami. Spend the night in one of the resort’s guestrooms (separate from dockage fee) and enjoy an abundance of dining choices, relax at the Spa or simply meet friends for cocktails. Already staying at the Fontainebleau Miami Beach? 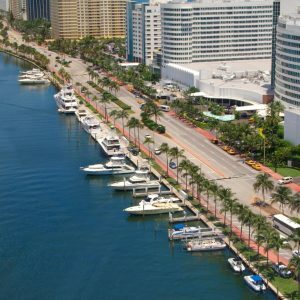 Book a private yacht charter leaving directly from the Fontainebleau Marina, located across the street from the resort. $2 PER FOOT/PER DAY FOR PRIVATE VESSELS WITH 3 MONTH COMMITMENT!